First of all, let me say that Usborne Books are my very favorite in the whole world. Their editions are sturdy and withstand my children’s manhandling, chewing and reading. This one I picked up from the library. It has a cushioned hard cover and a ribbon inside to hold your place. I was interested in the subject because of the YA fiction book “Dreaming Anastasia” by Joy Preble. 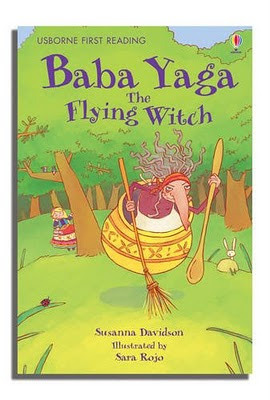 The folk tale of Baba Yaga was introduced within the story and I wanted to learn more. The Usborne version is easy to read with beautiful illustrations and my children have all passed it around. They are picky readers, so any book that holds their interest is impressive for me! 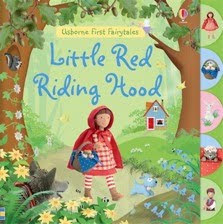 I can’t wait to pick up the other fairy tale book in the Usborne Easy Reader series.